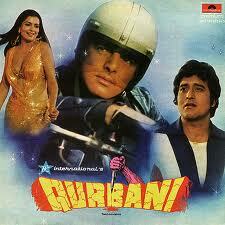 The official blog of Indo-Canadian filmmaker Anant Mathur. The posts will be about Bollywood subjects which he finds interesting enough to write a few paragraphs about - mostly his thoughts. Occasionally, you may also find posts about Hollywood, Filmmaking Tips or other exciting tidbits. This blog is meant to inform, educate and entertain. Please visit often and comment on the issues. One of the first films I remember seeing in the cinema hall was Qurbani (1980), I was 5 years old at the time, and even at that young age I understood one thing: all great films had incredible Heroes & Villains! Since the beginning of films there has been the fight of good vs. evil. But over the years these so called Heroes & Villains have changed drastically. Today, heroes have gray shades and villains are not as dark and sinister as they once were. Society too has changed. With the emergence of malls and multiplexes the days of Hafta Vasuli and Gang violence have disappeared. In this age of Twitter, Facebook and Google, a new kind of evil is lurking. Gone are the days of smugglers and gangsters, now is the time of tech savvy villains. He's no longer ugly looking, he doesn't wear a patch on one eye, a scar on his face or two different colored eyes, he's like the common man, so common in fact that it's hard to believe he's a villain. He's, in fact, a Con-Man. Instead of being repulsed by this new breed of movie villain we actually awe-inspire them. In a strange sort of way, we wish to relate to them and to a certain degree idolize them. When the villain looks like Hrithik Roshan, Shahrukh Khan or Salman Khan, etc., it becomes difficult not to. 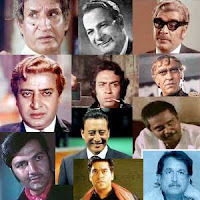 Perhaps if these Con-Men were still played by the likes of Pran, Prem Chopra, Amrish Puri, Amjad Khan, Ajeet, Danny Denzongpa, Raza Murad, Shakti Kapoor or Gulshan Grover, we wouldn't feel the same attraction towards them. From the Mid 90s onwards we were introduced to heroes who didn't use guns, knives and fists, instead they were the pride of their family. Even the second guy in a love triangle bowed out gracefully without a single punch being thrown. Films like Hum Aapke Hain Kaun, Kuch Kuch Hota Hai, Kareeb, Mobahhatein, Dil Chahta Hai, Hum Saath Saath Hain, Taal, Jab Pyaar Kisi Se Hota Hai, Hum Dil De Chuke Sanam, Dil To Pagal Hai, etc. introduced us to a metro-sexual hero - he has style, he has grace, not to mention a pretty face. He respects his elders, he doesn't elope with the girl, he seeks an honorable relationship. Today, the rules of what a hero is have changed again, in the past a hero was someone who fought against evil, protected the weak and followed certain beliefs/principles. Nowadays, heroes are given characteristics which make it difficult to decide if they're the hero or the villain. They no longer fight against evil, they're usually the cause of it. They're not interested in the weak, they're very power hungry and don't trust anyone. They don't follow any belief/principle that may keep them from achieving their goals/dreams. In short, today's heroes lack honor, respect and discipline - they want to do the right thing, but are willing to take short cuts to do it. A lot of great heroes and villains have come out of Bollywood over the last few decades, below is a list of my favorites. © Anant Mathur. All Rights Reserved. 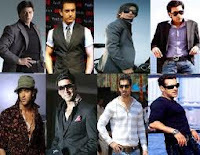 Who is the undisputed King of Bollywood?